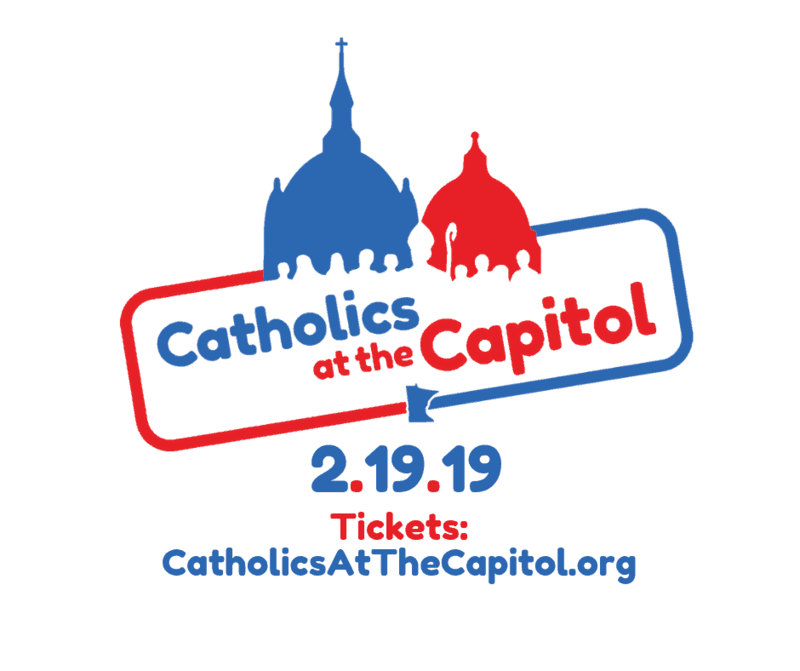 The Minnesota Catholic Conference is sponsoring Catholics at the Capitol on Tuesday, February 19 at the River Centre and the Capitol. This event was held for the first time in 2017, with 1000 Catholics from all of the Dioceses of Minnesota in attendance. The last event was an opportunity for Catholics to be trained in advocacy and to put those skills into practice by meeting with their local state legislatures. This time we are hoping to send nearly 2000 Catholics to the Capitol from throughout Minnesota. We are aiming for great representation from our own Diocese for this event. It is important for Catholics to make their voices heard on issues that are important to our faith. Join Catholics from throughout the Diocese of Winona/Rochester for this great event. We will provide free busing in regional areas of the Diocese depending where the greatest numbers of registrations come in. Join other faithful Catholics for this event, and invite your friends. The cost of registration is $40, which includes lunch. Deadline for signup is February 3, but registrations are limited. Sign up today.